Limo GT offer rides from and to Miami airport or Naples . Whether you need a return trip the same day or few days later, We can fulfill your needs. We offer flat rate fees regardless of traffic and other causes of delays. Our comfortable vehicles, professional chauffeurs and excellent customer service will make this trip flawless. You can choose to make an online reservation using our friendly and quick online reservation system or maybe call us and speak to one our well-trained customer service representative. In both cases, you will instantly receive an email confirmation with all the reservation details. Limo Miami GT - Miami car service was established in 2006 with the mission of providing premier ground transportation for individuals and companies . Our corporate car service provides transportation throughout Miami and South Florida area , and includes our Miami airport car service, which services all major airports such as Miami Airport to Naples , Fort Lauderdale Airport to Naples and All private airports around south Florida area We also provide premier transportation services to and from Naples . Naples to Miami non stop Car Service . Call us for availability of vehicles, current special deals and reservations. Don't settle for unreliable outsider and shared ride service which offer an inconvenient specific time schedule for pickups and drop-offs and a limitation on the number and size of luggage, when you can hire a professional, reliable and affordable service which is dedicated to Naples to Miami , Naples Fort Lauderdale transportation 24/7, with a complete fleet of new black cars sedans, SUVs and limousines, vans capable of accommodating your entire group and luggage and travel in-style, comfortably and for less with our current special offers, package deals and group transfer discounts . 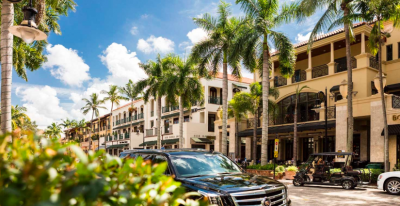 Limo Miami GT provide one way and round trip The Ritz-Carlton, Naples and The Ritz-Carlton Golf Resort, Naples From miami and Fort Lauderdale airports and cruise port , free meet & Greet t arrivals stress free trip . Airport Transfers From Naples and To Naples on time service worry free online booking trusted service local company serving last 12 years Private Naples transfers from Miami and fort Lauderdale area .